When I read the premise for Alpha House, an original series from Amazon for release strictly on Amazon, I felt like I was kind of familiar with the idea. Four buddies that, due to skyrocketing rental prices, decide to share a house. This sounds like a frat party waiting to happen. 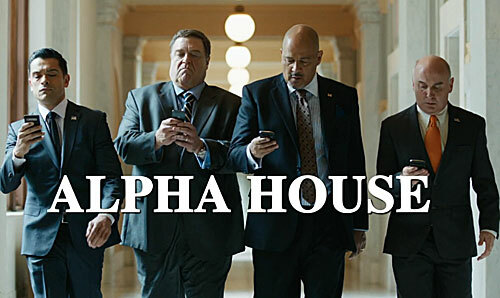 With a name like Alpha House, you’d guess to be right on the money, right? WRONG! This is a story about four senators faced with crazy rent prices in Washington D.C., and decide to split the cost. Which, incidentally, is something that actually happens. This is going to be a fast paced political satire featuring four Republicans trying to hang on to their seats through re-election. The acting talents of John Goodman and Clark Johnson will also guarantee some good zingers laced with sexual tension throughout the 11 episode run. There is one other name that is at least in one episode and I hope for more, that name is the amazing Bill Murray. His involvement has made this series a lock for something I have to watch, now. The premiere is set to air on November 15. Written by Garry Trudeau (creator of Doonesbury and writer of Tanner and Tanner, which co-starred Cynthia Nixon) and produced by Trudeau, Elliot Webb and Jonathan Alter. 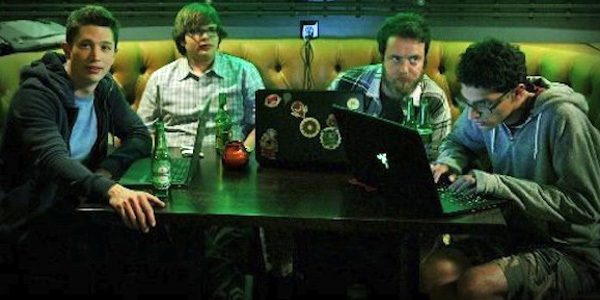 Betas, which has a premiere date of November 22, follows four friends in Silicon Valley planning to strike pay dirt with a new mobile social networking app. Betas is to showcase the acting talent of Joe Dinicol, Karan Soni, Jon Daly, Charlie Saxton and Maya Erskine, with a special appearance by Ed Begley, Jr. This show makes me think of The Big Bang Theory. Most of the actors have had some success on the small screen with bit parts in a dozen tv shows. Both series will have the first three episodes available for free on Amazon Prime Instant Video. After that, one episode of each show will be available for weekly purchase. “We’re constantly experimenting and trying new things—and we’re eager to hear customers’ feedback on this model,” said Roy Price, Director of Amazon Studios. Michael Lehmann who directed Heathers, Airheads and several episodes of Dexter and True Blood will take the helm and produce along with Alan Freedland and Alan Cohen and Michael London. This entry was posted on Monday, November 4th, 2013 at 7:12 pm	and is filed under News, Television. You can follow any responses to this entry through the RSS 2.0 feed. You can skip to the end and leave a response. Pinging is currently not allowed.